Movie: "Mission: Impossible - Fallout"
Ethan Hunt and his crew take on another seemingly impossible mission to retrieve stolen plutonium cores from a global terror group known as The Apostles. The "Mission: Impossible" franchise got off to a slow start, but ever since J.J. Abrams stepped in as the producer, the series has continued to improve and has only gotten better and more rejuvenated with each installment. Will "Mission: Impossible - Fallout" continue that trend? 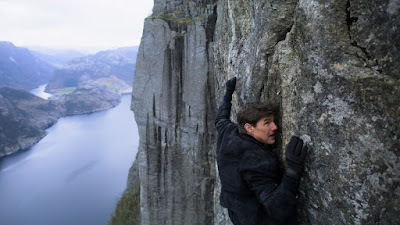 This sixth movie in the series is once again written and directed by Christopher McQuarrie, which makes him the only director to helm two installments in the "Mission: Impossible" franchise. Beyond the "M:I" series, McQuarrie has also directed films like "The Way of the Gun" and the first "Jack Reacher" movie. 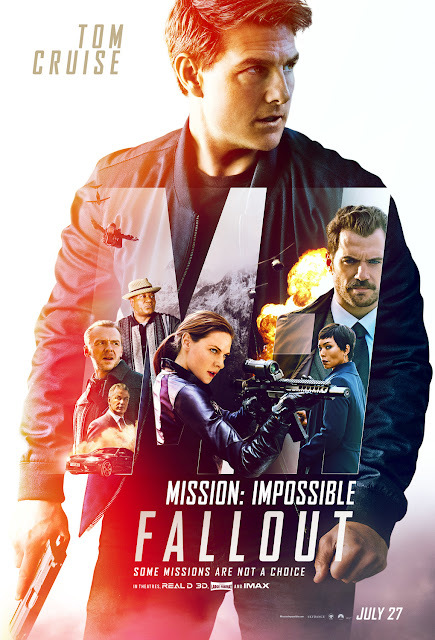 Along with the help of his team members Benji (Simon Pegg) and Luther (Ving Rhames), Ethan Hunt (Tom Cruise) is tasked with a mission to recover three stolen plutonium cores from a Syndicate offshoot known as The Apostles. When Hunt and his team lose track of the weapons, C.I.A. 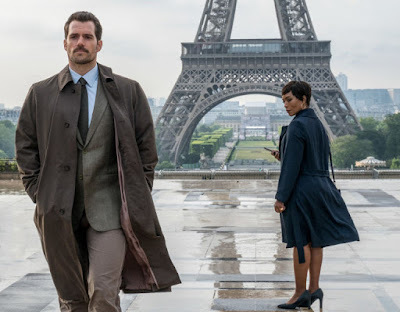 director Erica Sloan (Angela Bassett) forces agent August Walker (Henry Cavill) to go with the team to get them back. When other people from Ethan's past pop up and interfere with their task, the C.I.A. begins to doubt they can trust him. As we said above, the "Mission: Impossible" series has only gotten better in recent years. Luckily, "Fallout" continues that trend tenfold. This is the most intense, action-packed installment in the series, which is a high bar considering films 3-5. We went the entire third act without taking a breath, and we were on the edge of our seats for the entire duration of the film. The fight scenes are amazingly choreographed, especially the bathroom showdown that was showcased in the trailers. The chase scenes, whether they feature cars, motorcycles, or helicopters, are unbelievably awesome. Beyond the adrenaline-pumping excitement, this movie also boasts a very engaging story that we were completely gripped by from the second the movie started. This is understandable considering McQuarrie has written other tremendous screenplays for films like "The Usual Suspects" and "Edge of Tomorrow," the former of which made him an Oscar winner for best screenplay. Speaking of the Oscars, though it probably won't happen because this isn't your typical "Oscar movie," we believe "Mission: Impossible - Fallout" deserves consideration for many categories next year, not just the technical ones. This is unquestionably one of the best films of the year. Beyond the ridiculously cool action and intricate story, the acting is excellent as well. 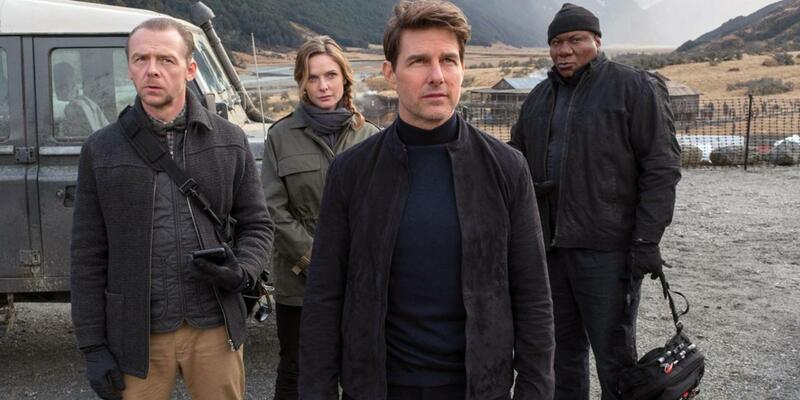 We have been critical of Tom Cruise in some of his latest films ("The Mummy" reboot, the second "Jack Reacher" movie), but he has always been at "peak Cruise" in the "Mission: Impossible" franchise. Hell, he does most of his own stunts! Though he seems like he's a little bit of a madman, you have to respect the guy for that. We love the performances across the board here. All of the characters have believable, incredible chemistry with one another. The rigid relationship between Ethan and newcomer August Walker allows for a massive amount of tension. Benji (Simon Pegg) and Luther (Ving Rhames) are always quick to deflect with humor, but the cracks never feel unnecessary or out of place and serve as a break from the intensity and excitement. The connection between Ethan and Ilsa Faust (Rebecca Ferguson) and the old bond between him and Julia Meade-Hunt (Michelle Monaghan) each manifest themselves fully this time around and come back in unexpected ways. Each character gets a couple of effectively heartfelt and tender moments here and there, proving that this installment is not all testosterone and arm-pumping (though I personally could have watched a 157-minute movie of just Henry Cavill pumping his arms over and over). "Mission: Impossible - Fallout" is nothing short of fantastic. This film deserves all of the praise and recognition it has been getting. We're sure this flick doesn't need one more glowing review, but we couldn't help it, it's just that good. If the higher powers at Paramount wanted to stop the franchise now, "Fallout" would be the perfect send-off for Ethan Hunt and his crew. If they wanted to make another installment, for the love of Goddess, bring back Christopher McQuarrie to direct it. No one seems to do action quite like him.